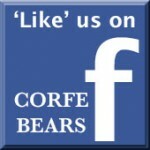 Corfe Bears > Kaycee Bears > FANDANGO DRAGON 28"
NOW HALF PRICE £145!! (Was £289)..........LIMITED STOCK! The Fandango is a lively couples dance originating from Spain and you will be dancing in delight if you buy Fandango, but there are only 30 available worldwide, so will you be one of her lucky partners? 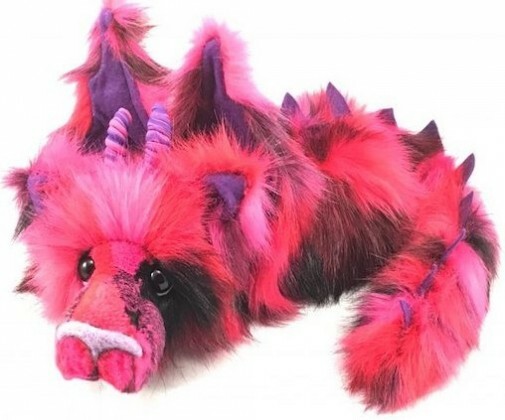 She is made from a fantastic mix of fuschia, magenta and black fur, with purple spines, inner ears and wings, together with a light needle-felted nose. Her lovely body and long tail are weighted and she can be posed in many different ways and will curl up nicely on your lap or sit on your shoulders! FANDANGO is from the Kaycee Bears Autumn 2017 Collection.